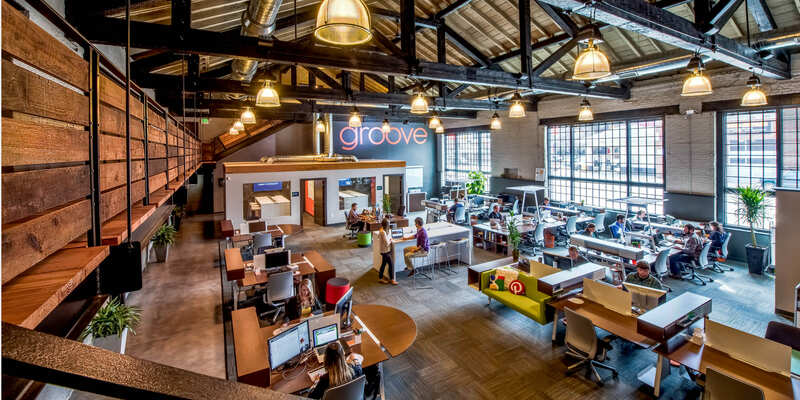 Introducing Groove's New World Headquarters! We set out to build headquarters in Baltimore that would cement our culture, serve as an example, drive new business and take Groove to the next level. As we turned the corner into our 5th year, last year, I began to feel that something was missing from our organization. What was missing was a thread. A thread that wove all of the elements of our agency together from technology to creativity, and from creativity to culture. It has been over a year since I began to map out a vision for Groove’s new world headquarters. This week, that vision became an amazing reality. We set out to build headquarters in Baltimore that would cement our culture, serve as an example, drive new business and take Groove to the next level. We have definitely achieved all of our goals with this space. Better yet, we were able to do it our way. Check out the Baltimore Business Journal’s tour of our new space here. On the heels of moving into 415 S. Central Avenue, Groove was recognized as one of the nation’s “2013 Best Young Companies to Work for.” Presented by Turnstone (a division of Steelcase), Groove was selected for demonstrating excellence in a number of areas, including positive work culture, forward-thinking leadership, talent retention, business innovation, community outreach and an intentionally designed workspace. Business Insider profiled the top 15 companies in America here. It is Groove's mission to continue growth and to be the place for Baltimore’s top creatives and technologists to work! Our new agency space will be the cornerstone of that mission. Interested in joining our fast growing team? Then stop by our careers page and have a look around.